Unlike the year 2017, a lot of prominent changes comes up in 2018 to the world of SEO. As search engines strive to improve the quality of search results, it becomes necessary for every online business including E-Commerce sites to keep updated with the latest SEO trends and techniques. Google is continuously focusing on improving the quality of search results. Google is giving preference to websites that value speed, security, mobile-friendliness, and usability. By optimizing your e-commerce according to the latest SEO trends, you are not only securing more traffic, you can also drive more eCommerce business sales. To keep your E-Commerce website ahead of the competition, here are 5 SEO trends you should be keeping an eye on. Voice search has gone through an enormous growth in early days. Many people prefer the convenience of speaking over typing. They are using voice-activated digital assistants, like Apple Siri, Amazon Alexa, Google Assistant, etc to find their queries. Now, voice recognization software has reached the point where users are comfortable finding their queries through voice search. To get benefit from this, your e-commerce SEO strategy needs to focus on more long-tail search keywords and phrases that match the user’s conversational tone. People speak differently than they type, for example, “Where’s the nearest restaurant?” or “How do I make a cake?”, so by optimizing your content using conversational terms and sentences, you’re more likely to rank highly. Mobile users are increasing every minute. According to a statistic, more than 50% of the online searches are done from mobile. 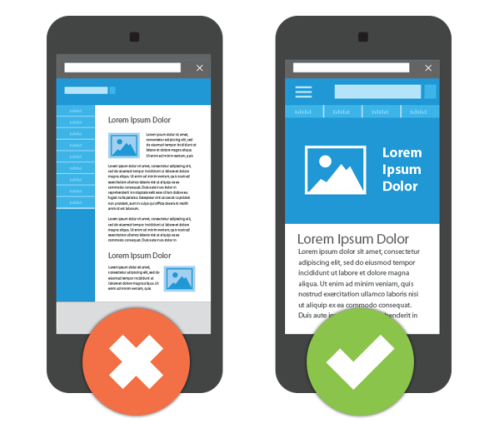 Many users now access information and shop online through mobile phones, thus it is important for eCommerce webmaster to make their websites mobile optimized. Today, mobile friendliness is now considered as an important ranking factor so mobile-first content is needed in order to have the best chance of being visible in mobile search. There is no doubt that Google preference for trusted sites. Google doesn’t recommend users to submit their security details such as credit card information to a non-HTTPS website. So, it becomes more important for an e-commerce website to provide an extra security layer to their users. By switching to HTTPS, you not only build user’s trust, you’re likely to rank your website higher than your competitors. Considering it as an important ranking factor many e-commerce websites like Urban Ladder is using HTTPS to offer protection to their customers. Google shows Chrome users ‘Not secure’ warning if the user enters data on an HTTP page and the user bounce back from that website. Just think about it, how you will be able to make sales and conversion from your non-HTTPS e-commerce website if a customer doesn’t feel safe while entering his payment details and other confidential information. Thus, moving towards HTTPS is a great way to build trust with your customers. This will make your site more secure and improve user’s experience. The featured snippets have gained the popularity from past one or two years. According to a report, almost 30% of the test Google search queries show Featured Snippets. The featured snippet is a summary of an answer to a user’s query, which is displayed on top of Google search results. 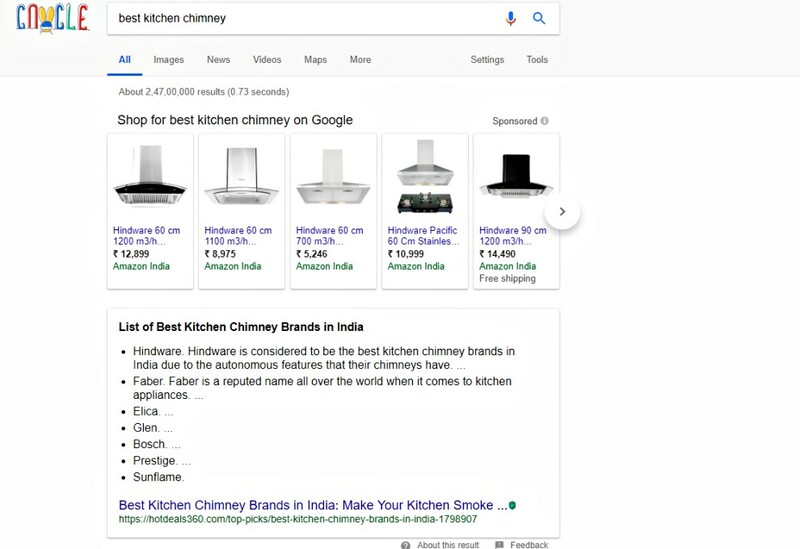 For e-commerce SEO, you need to build a strategy on how to optimize a site’s content to meet Google’s standards for Featured Snippets. Similarly, it is also important to create content in a Q&A format so that Google can extract the right content to show up as a featured snippet. Backlinks play an imortant role in ranking of a website. In the year 2018, link building is not to be expected disappear. Instead, it will be more important to build a strategy that seeks quality links rather than thousands of low-quality or spammy backlinks. In 2018, link building will be shifting towards relationship building, brand development and powerful links that will beneficial for a longer term. Guest post plays a crucial role in link building but in last year Google warned publishers who were depending too much on guest posting in order to control spammy and questionable links. Nowadays, search engines have the ability to associate mentions of brands so it is important to focus on more diversified link building strategy for your e-commerce business. These certainly aren’t the only SEO trends I’m explaining here for e-commerce websites and it’s hard to predict exactly what’s around the corner. So, it is better to keep an eye on every SEO update and make sure you react to them in the right way. To stay ahead of your competitors, use all the SEO strategies on-page and off-page for the benefit of the e-commerce business.